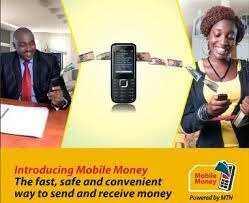 After a bunch of false starts, it seemed like Mobile Money in Ghana was finally on the up and up. CGAP declared that Ghana was finally on the “cusp” of progress on the mobile money front (Mckay, 2015). The Ghanaian Central Bank repealed Mobile Money guidelines which were deemed excessively restrictive, and replaced them with a bunch of guidelines that were considered more conducive to the scaling up of branchless banking initiatives (Blay, 2016). Mobile Money transaction volumes doubled from 266,246,537 in 2015 to 550,218,427 in 2016 (BOG, 2017). Ghanaian citizens such as Auntie Ama - who curiously still names current prices in the old currency that was redenominated in 2007 – now receives money from friends and relatives via Mobile Money, just like one of the 2009 MTN mobile money television ads had demonstrated she could. To the chagrin of the sometimes reluctant remitters, they can no longer use “I can’t come and see you” as an excuse anymore, since Auntie Ama herself reminds them that they can send her money via mobile. Tech-savvy Kweku Mensah has one of his bank accounts linked to his Mobile Money account which he uses to pay bills, and buy airtime for his girlfriends (who I am not sure know about each other). Last night he had pizza delivered. He paid for it using - you guessed it - mobile money. Even some Ghanaian churches – after some initial misgivings about the impersonality of it all - have developed online portals where people can send donations or tithes via mobile money (see for example https://www.centralgospel.com/ give/). Cash was certainly not on the way to extinction in Ghana, but Mobile Money, offered by Airtel, Glo, MTN, Tigo, and Vodafone was certainly becoming an increasingly important part of the payment ecosystem due to its convenience and accessibility....that is, when the agent was available and the network was functional. Ghanaians, it seemed, after a loooong while of coaxing, had begun to move on to the mobile money bandwagon touted as a means to financial inclusion to the 60% of the population who for a variety of reasons were excluded from the formal financial sector because they did not or could not own a bank account. Branchless banking did make sense given the fact that Ghana had 110.8 times more branchless banking agents than bank branches. The ratio of agents to ATMs was an even more astounding ratio of 150:1 (International Monetary Fund Financial Access Survey, 2016). Plus, trust in the formal banking sector took a bit of a dive when customers of UT and Capital banks earlier this year awoke to the news that their banks had failed and had their licenses revoked, and were being taken over by Ghana Commercial Bank (Frimpong, 2017). Added to the stories and rumors over the years of a few errant supposed microfinance companies who disappeared with people’s deposits, mobile money - while not as secure as hiding money under the mattress - was beginning to look like it offered a pretty good degree of safety. You could, after all, call a mobile network operator and yell at them if something happened: they were after all first and foremost a communications company. Mobile money was described as a “time-bomb waiting to explode, unless something drastic is done to curb the increasing fraud in the system”. There goes the idea that mobile money is safe, perhaps safer than cash, and more convenient to access than the formal banking sector. There is nothing whatsoever convenient about being defrauded of money. There goes the idea that a transition to cashlessness can create a record of transactions and thus reduce fraud in Ghana. Fraudulent individuals found a way to take advantage of cashlessness based on their knowledge of the logistics of the Mobile Money platform, and did so without leaving much of a trail. There goes all the hard work that the mobile network operators, their banking partners, legislators, agents, and other stakeholders have invested in growing the mobile money market. It’s going to be much more difficult to market a product everyone knows has significant weaknesses. Mobile Money has lost that lovely feeling. Hopefully, all is not lost. However, trust is important for adoption, growth, and sustainability of this payment form, and this trust has been badly broken by people from the inside. Sadly, the reality that these crimes are at least partly inside jobs are a reminder of the Ghanaian (Twi) proverb that states “if an animal will bite you, it is from your own cloth”. Adding salt to the wound is Uncle Attah who absolutely refused to use Mobile Money in the first place. He was suspicious that something could happen to the money once it wasn’t in physical form anymore by some “419” (fraudulent) person. He is now going round his neighborhood on an unofficial “I told you so” campaign. To him, it was, it is, and always shall be nothing but cash. *Note: Some of the people referred to in this post are composites of people encountered in fieldwork, for others, names have been changed. Blay, C. (Bank of Ghana). 2016. “Mobile Financial Services in Ghana. Sub-regional Workshop on Mobile Money in West Africa.” 14th – 16th March 2016, Freetown Sierra Leone. Bank of Ghana (BOG). 2017. “Payment systems statistics” https://www.bog.gov.gh/privatecontent/Payment%20Systems/PAYMENT%20SYSTEM%20STATISTICS_%20First%20Quarter%202017%20.pdf Accessed October 23, 2017. Darko, F. (2017). Mobile money fraud alarming -Staff of telcos deeply involved – Police. 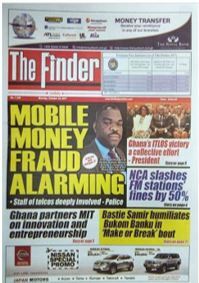 23-10-2017. https://www.thefinderonline.com/news/item/10415-mobile-money-fraud-alarming-staff-of-telcos-deeply-involved-police. Accessed October 23, 2017. Frimpong, D. (2017). GCB takes over UT Bank and Capital as BoG withdraws licenses. Business Insider. 14.08.2017. http://www.pulse.com.gh/bi/bank-of-ghana-gcb-takes-over-ut-bank-and-capital-as-bog-withdraws-licenses-id7142183.html. Accessed October 23, 2017. Joy Online (2017). Staff of telcos accomplices in mobile money fraud – Police. 23-10-2017. (https://www.myjoyonline.com/business/2017/October-23rd/staff-of-telcos-accomplices-in-mobile-money-fraud-police.php). Accessed October 23, 2017. McKay, C. (2015). New Data Finds Mobile Money "On the Cusp" in Rwanda and Ghana. 15 December 2015. Consultative Group to Assist the Poor (CGAP). http://www.cgap.org/blog/new-data-finds-mobile-money-cusp-rwanda-and-ghana. Accessed October 23, 2017.
International Monetary Fund Financial Access Survey, 2016. International Monetary Fund. Read Vivian Dzokoto's blogpost from the special PERSPECTIVES Series on Demonetization in India, "Before Money isn't Money Anymore...."